Colt Universal Louvre Roof Turrets are available in a wide range of standard sizes in single bank or double bank configurations. Roof Turrets are also available in a complete range of finishes and materials from standard mill finish and polyester powder paint finish to anodised and stainless steel. Highly aerodynamically efficient – this reduces air resistance, allowing the plant to be minimised thereby saving running costs. Enhanced rain defence performance – The 2UL version has a remarkably high resistance to weather. Durable and maintenance free – UL Roof Turrets are completely made from corrosion resistant materials. Easy to install – UL Roof Turrets can either be delivered to site pre-assembled or as a kit of parts. A wide range of options - UL Roof Turrets are available in various shapes, configurations, materials, finishes and coatings to meet the requirements of almost any project. 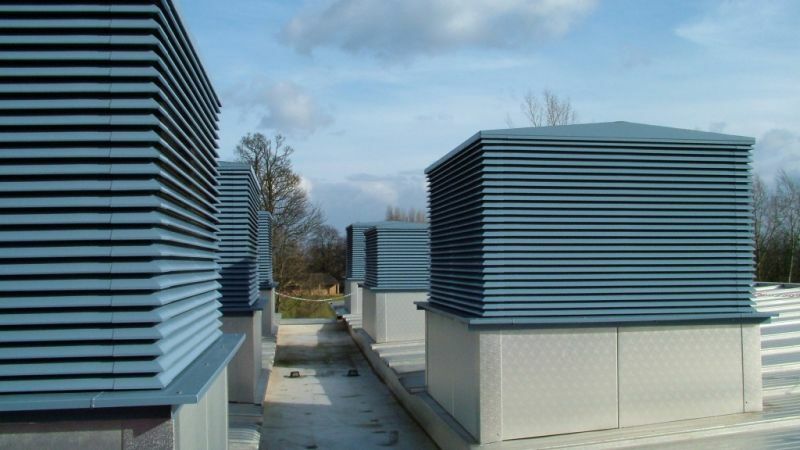 The louvres can be extruded or roll-formed, and either mill finish, polyester powder painted or anodised. 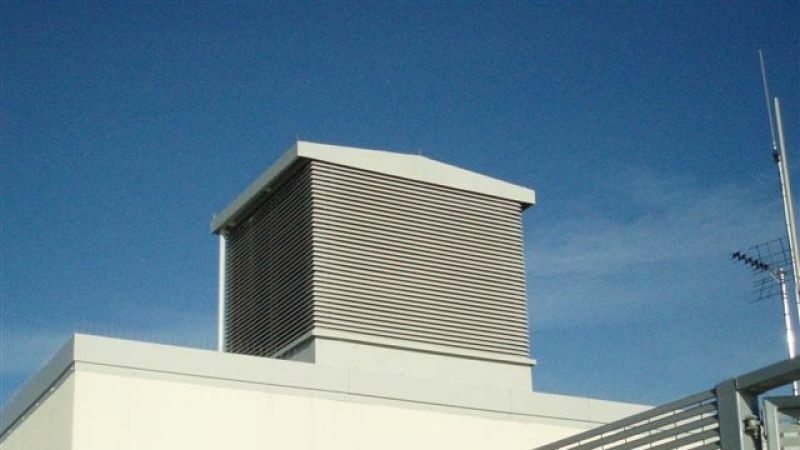 UL Roof Turrets can incorporate insect and bird guards. There is an internal thermally broken damper option.